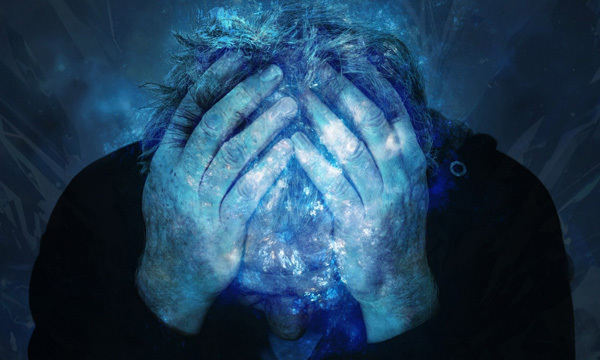 Stress is a normal part of the human experience, however for some the anxiety is constant. In these individuals very often the brain has been trained to stay in a constant level of arousal. When we look at the brain of an individual that is dealing with anxiety we often see an over active area of the brain called the cortex. The cortex is the area of the brain that deals with us having conscious thoughts. When this part of the brain becomes overactive we get 1 thought that leads to 10 that lead to 100 and we get overwhelmed and anxious. Neurofeedback, also called biofeedback or neurofeedback, is one of the quickest and most efficient ways to teach people how to help themselves. Brain retraining has been used for many years with solid, proven results. Learning this life skill decreases the need for dependence upon medications, and improves the quality of life by teaching the brain to make healthier patterns on a more consistent basis so anxiety responses are avoided and a calmer brain stays in control more often. We have helped hundreds of clients end the racing thoughts and the emotional roller coaster of anxiety and get their life back. 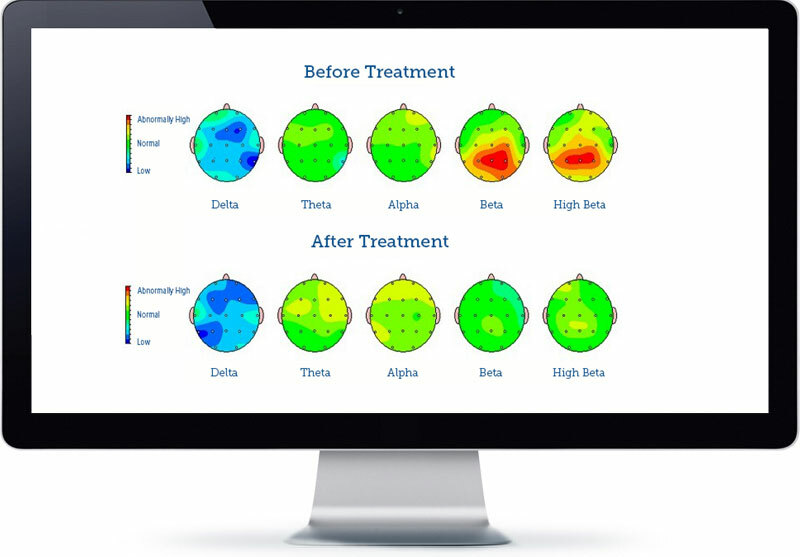 Once initial information has been gathered from nineteen specific sites on the head, neurofeedback can be used to track brain wave activity, and train the brain to operate more efficiently by providing visual and auditory feedback to the client as their brain wave patterns improve and self-regulation occurs. The retraining of the brain is accomplished by experiencing visual stimulation that darkens and lightens as brainwave patterns change. By adjusting the brightness with the brain waves, you retrain and engage the brain. Over the course of the treatments, neurofeedback creates permanent positive changes. 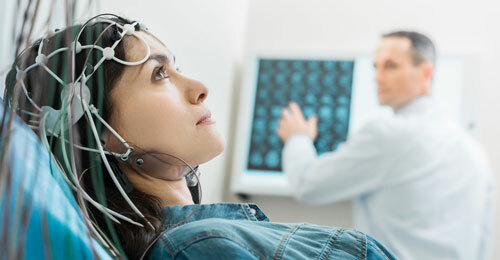 Read more about the neurofeedback process. "If your child has ADHD, I HIGHLY suggest checking out Saint Louis Neurotherapy Institute! Leif's initial scans were extremely impulsive. In just two weeks of biofeedback/brain training, we noticed some major changes. After 12 weeks, he was a new kid! His level of focus was amazing, he had better emotional regulation and he stopped acting out to try to cover up his inability to do something. I'm now a very happy mother and it was so worth the money. Thank you, Saint Louis Neurotherapy Institute, for helping our son!" "The changes I've seen in my son throughout his 4 months of Neurotherapy training are amazing. His ADHD medication dosage has been successfully reduced 3 times; he has almost no anxiety or irrational fears anymore but when he does feel worried, the intensity and duration of the episodes have been dramatically reduced. All of the staff in Dr. Rhodes' office is friendly and kind and make an effort to get to know my son and make him feel comfortable. Throughout the neuropathy training we had several meetings to check in about my son's progress and the changes we saw, receive answers to any questions we had, and learn about how certain vitamins, supplements, and changes in his diet could be beneficial for him. I feel so lucky that we were able to work with Dr. Rhodes and the St Louis Neurotherapy Institute and that we've had so much success that with this program. "Our teenage daughter, Kate, suffered from severe migraines for the last 2 1/2 years. The typical migraine medications were not very helpful for her so we continued to try new ones. Throughout this time she was also admitted to the ER and Inpatient for IV treatments. I am writing this now 3 months later and am happy to report that her Neuro-training treatments have exceeded our expectations. The change was nearly immediate. She has only had 2 very brief migraines lasting one day since beginning treatment and has missed no school days. Thank you for providing a safe drug-free solution to this debilitating situation." I was diagnosed with ADHD when I was 10, and Depression/Anxiety when I was 13. I was on medication for years and years. The side effects of both medicines would make me want to isolate myself, be very easily irritated, cause rapid heart rate, and make me very drowsy. Last year, at age 33, someone had mentioned neurofeedback to me, and I had never heard of it. I decided to go ahead and try it. After a few weeks of treatment, I was already starting to tell the difference. I decided to go off my anti-depressants. I was successful coming off it, and am still not in need of it today. This treatment really works! The staff is fantastic, very helpful, patient, and flexible! I had a very positive experience, and I recommend it to anyone who is wanting to get off meds. "St.Louis Neurotherapy made a huge difference for my son. His ADHD symptoms decreased enough to allow him to be successful in school. I would highly recommend this." For informational purposes only. Individual anxiety treatment plans may vary. We meet and discuss your or your child’s case details and suggest a tailored anxiety treatment plan specific to your scenario. In the first anxiety treatment session we test the brainwave patterns using a sophisticated EEG equipment and establish a baseline. Imbalances are recorded and a specific course of at home anxiety treatment is established. 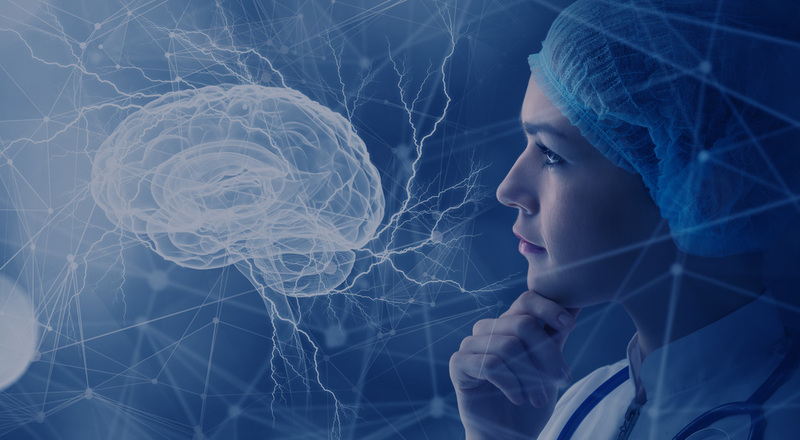 Patient receives neurofeedback equipment to take home in order to proceed with anxiety treatments from the comfort of their own home which saves both time and costs from a more traditional strictly in-clinic approach. Patients conduct in home neurofeedback training with equipment proved by St. Louis Neurotherapy Institute 4-5 times per week. It takes approximately 40 minutes to conduct the neurofeedback training for best results. This in-clinic session will retest the new brainwave patterns to confirm anxiety treatment effectiveness. Most clients will already see the results first hand in changes prior to the retest. Insomnia, Chronic Fatigue Syndrome, Learning Disorders, Chronic Pain, Memory Loss, Fibromyalgia, Migraine and Tension Headaches, and Vertigo.